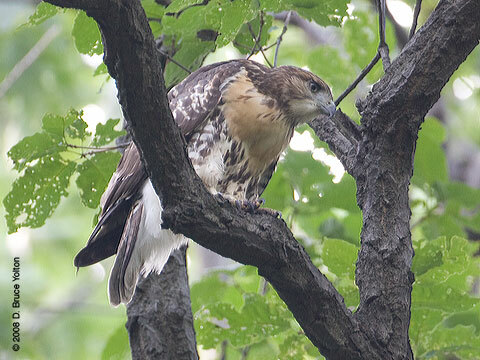 Inwood Hill Park has been a frustrating location for me this year. 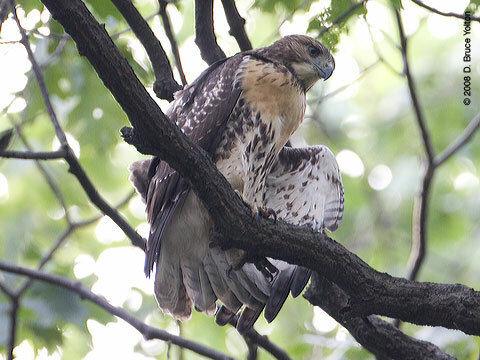 The new nest location made it difficult to see into the nest, so the few times I went, I didn't see any eyasses. 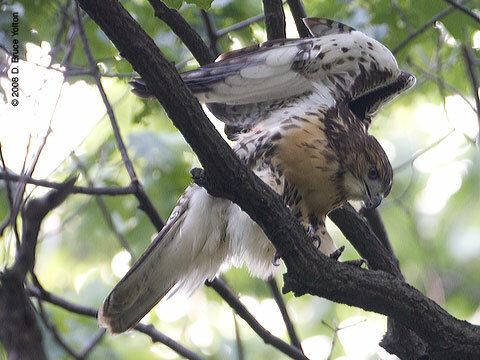 After they fledged, I also had trouble finding them. 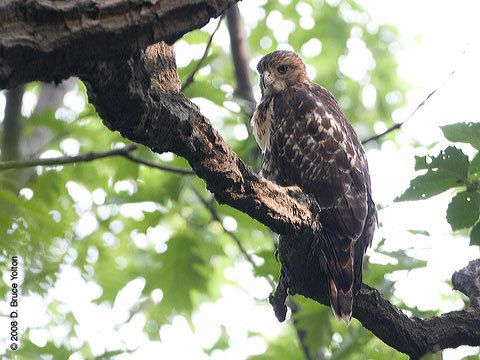 On Saturday, I finally was able to find one of the fledglings with the help of Ranger Rob Mastrianni. 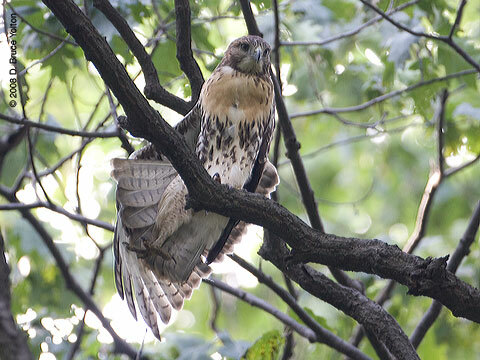 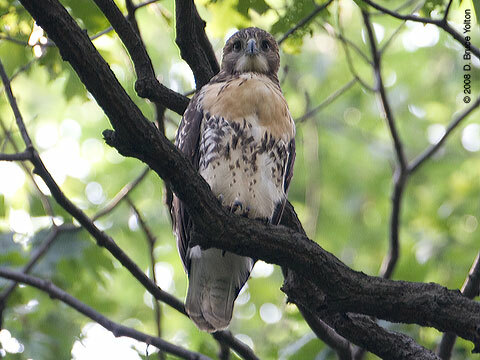 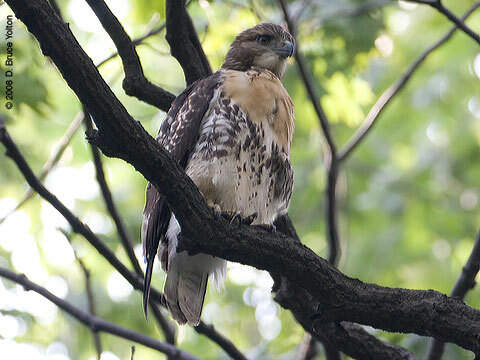 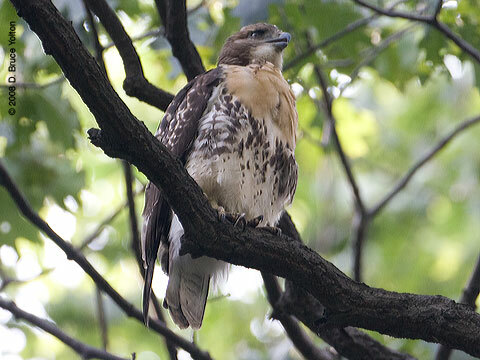 The fledgling was spending a quite afternoon relaxing below the old eagle hack site.